The last day of Wednesday After School! Straight off the bat, the tinkerer's wanted to add seat belts for safety. This was a great idea, and we used a combination of rope, eyebolts, carabiners, and bungees to create strong, secure seat belts. Our original plans for our tractor called for it be a barrel-moving tractor, so we quickly added some grabber arms as well. More seat belt and grabber arm testing. We decided that the tractor also needed a name and license plate. Make that several license plates! Final testing! The tractor moved well and even moved barrels! Everyone got a chance to ride it, and it was a true joy to see it all come together! A few tinkerers were hard at work crafting "shaft collars" to keep the tractor wheels from sliding around on their axils. Here, a tinkerer uses the drill press to cut big, even, round holes into a piece of 2x3. Next, cutting the 2x3 into segments for each "collar." Now, drilling holes for screws that will give the collars a tight squeeze for gripping the metal axil and keeping the wheel from sliding. Meanwhile, other tinkerers are attaching the top of the tractor cab. It's those tricky angled holes again! Adding more structural support for the body to keep it from wiggling. And finally, building the bench! Whoa! Our creation is actually starting to look like a TRACTOR!!! We worked on the top of the tractor cab today - the piece with double-angle wood cuts! 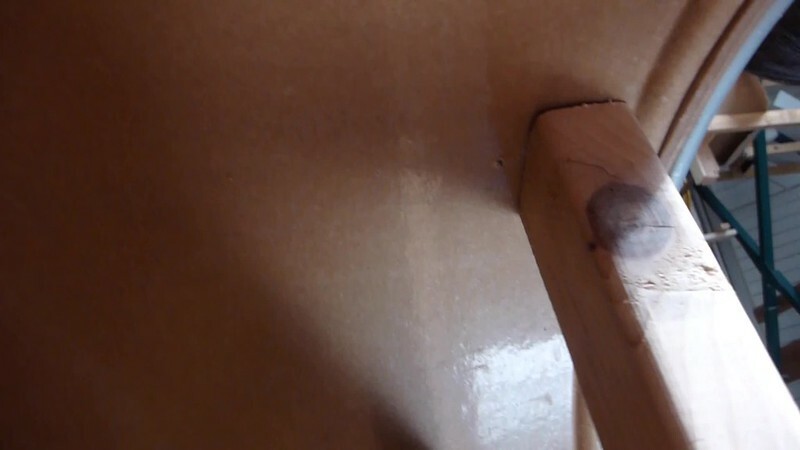 We ran into some challenges when trying to attach those pesky, angled boards. 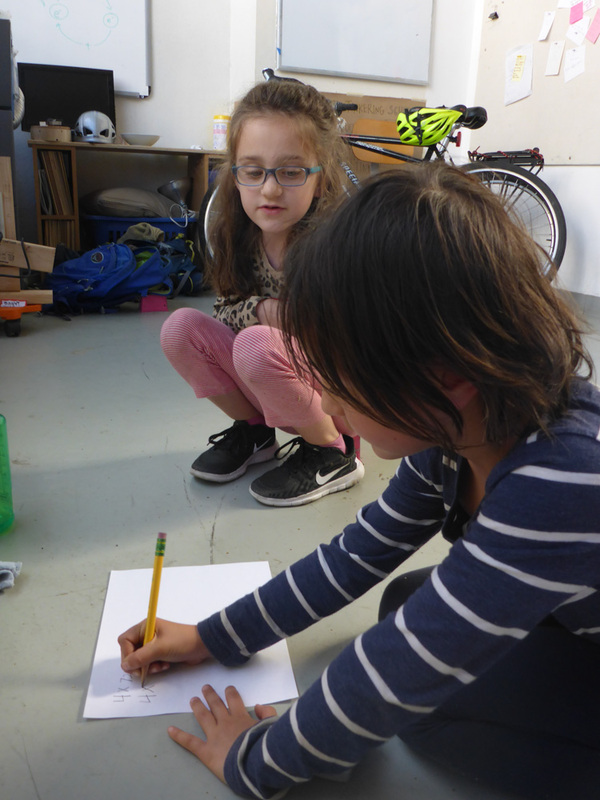 We practiced drilling a primer hole ("a bee sting") and then drilling down at an angle. By the time we attached all four pieces, our tinkerers were pro's at this tricky task! Because our tractor spent most of its time on its back today, we didn't have a chance to drill it in on top. We'll get to that next week! In the meantime, we began to imagine what our tractor seats like look like. We needed to shift our perspective to imagine our tractor right-side-up. We crafted a small set of designs that we'll consolidate next week. The consistent features in all of our plans include: supports, a back, and cushions! The steam-roller-barrel-wheel group also had their fair share of tinkering done today. They had a chance to use the corded drill for extra "oomph" to create those thick wholes for our wheel axils. We realized that we didn't have enough nuts of the right size to secure our thread-rod axils, so next week, the team will build some custom wood nuts! Today, we set out to stabilize our tractor frame, build out the top of the cab, and continue turning those barrels in to wheels!!! We also made loads of progress on our barrel wheels today. 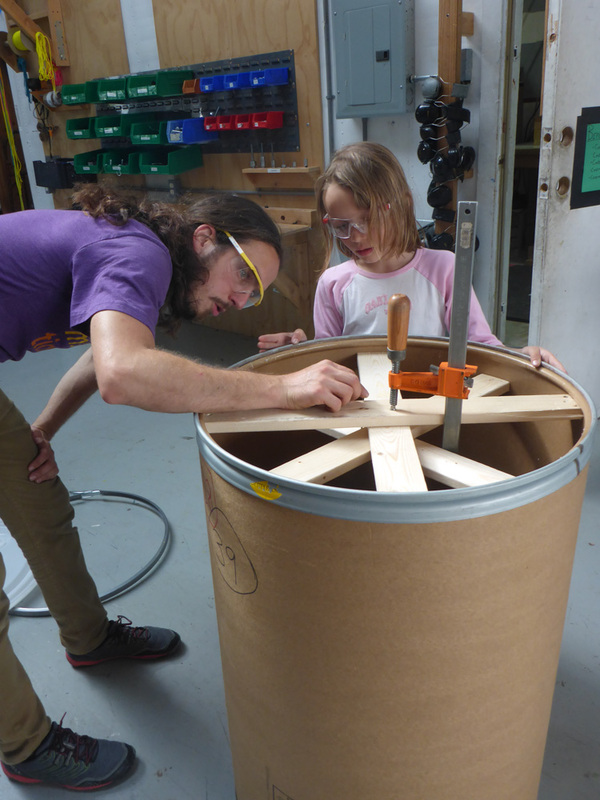 We cut out the bottom of the first barrel using the jig saw and attached the pre-cut spokes one-by-one. Another mishap from the day - a giant stuck drill bit! Evan was finally able to push the bit out using our biggest power drill in the shop! Eventually, we ended up creating a super wheel with elegant spokes. We can't wait to attach it to its axil next week! Meanwhile, other tinkerers were hard at work creating the supports for our tractor's roof. Last week, we decided to take on the challenge of making double-angle cuts, so today, we picked up right where we left off. TRACTOR! What kind of tractor? We weren't sure yet! This is where our creative tinkering minds came in! Check out how many ideas we developed! After sifting through our awesome brainstorm, we decided to build a tractor with two moving parts and room for two kid-sized operators! 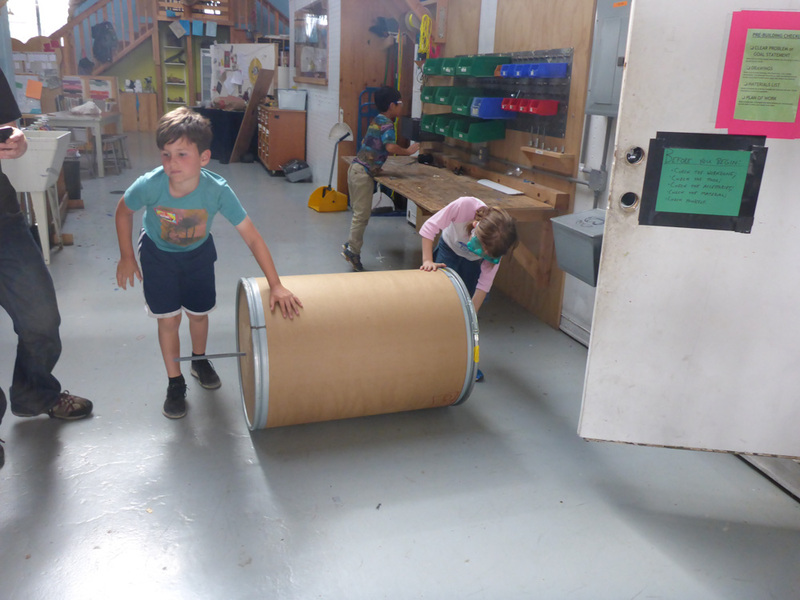 We're going to build a tractor that can pick up giant barrels in two different ways!